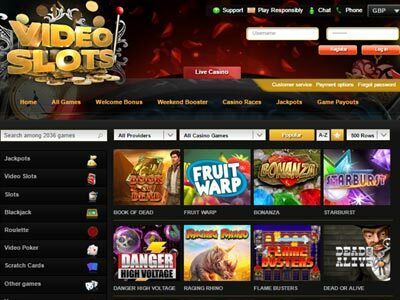 The best online slots offer hidden features that can be unlocked by players during the game via symbols such as Scatters and Wilds. Scatters and Wilds are fairly widepsread and most video slots use them. But as operators look for more innovation, they're trying out more complex features such as Symbol Scrambles or Mystery Multipliers. Once inside these features, players' winnings can expand dramatically. Slots are the only game where you can quickly turn a losing spin into a winning spin, or a winning spin into a massive winning spin! Special features are the key to these big wins. Scatters are specific symbols that can appear 'scattered' anywhere on the five reels. 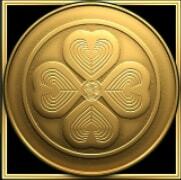 Unlike Wild symbols (see below), Scatters do not have to appear on a payline to trigger a win. Scatter symbols are unique to each game and will tie in to the theme of the game. In Lucky Leprechauns Loot, for example (available at Spin Palace and Ruby Fortune) the Scatter symbol is a Lucky Leprechaun (see picture right). Scatters are a way to unlock special features. When 2 or more Scatters appear, they trigger a win, or open a bonus round, or give you a set number of extra spins. In some cases, Scatters can also multiply the bet (see Multipliers, below). In games where Scatter symbols trigger a bonus game, a new screen appears offering the player a chance to win prizes separately to the main game. A wild symbol acts like a joker in Cards games. 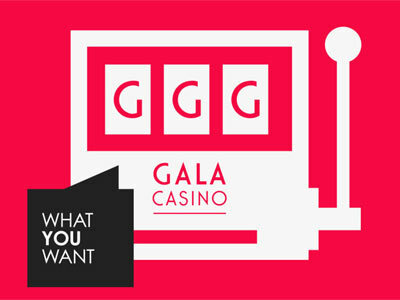 When a wild symbol appears, it can be substituted for any other symbol (except a Scatter) to give the player a winning combination on a payline. 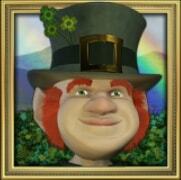 In Lucky Leprechauns Loot, the Wild symbol is a shield with a Celtic pattern (see right). The best winning line is five Pots of Gold. If you had Pot of Gold - Pot of Gold - Shield - Pot of Gold - Shield on any payline, you'd win the maximum payout, even though you only have three Pots! Every Feature slot has a different Wild symbol, based on the game's theme. For example, in Fantastic 4, the wild symbol is the 4 emblem, in Tomb Raider it's the TR logo (surprise, surprise!) and in Frogs 'n Flies it's a... frog (can you see the pattern?!). As with Scatters, in certain games Wild symbols will mutliply the bet / win. Scatters and Wilds sometimes act as multipliers. 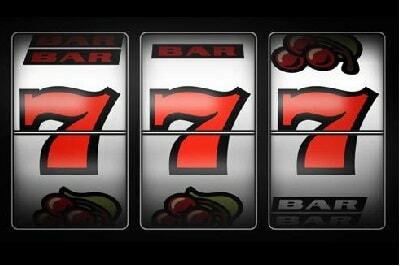 When they appear across a payline they multiply the payout by a set amount for each coin deposited. In a game like Thunderkick's fantastic Esqueleto Explosivo the Multiplier doubles each time it appears, going from 1x right up to 32x. It's a great feeling to win £100 and see it multiplied to become £3200! 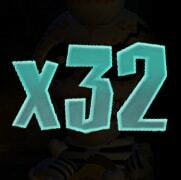 In some games, a bonus multiplier is only offered when the player deposits the maximum number of coins allowed per spin. For this reason, it's best to play all the paylines available. 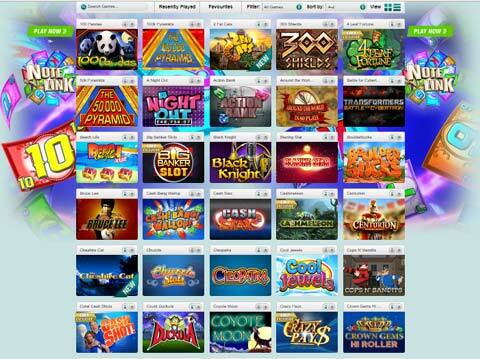 This is discussed in more detail on our Slots strategy page. Freefalls / Collapsing Stacks is an exciting new feature. When the reel stops on a winning combination, the symbols disappear and are replaced by new ones which drop from above. If you play the online games Bejewelled or Candy Crush, this concept will be very familiar. One Freefall can lead to a long sequence of wins from just one spin. This video shows how a winning combination triggers a Freefall which very quickly accumulates up to a total win of over 1500! Freefalls / Collapsing stacks are another great example of how the casinos are adapting their games to appeal to each new generation of Slots player.